The sweater is my own design. 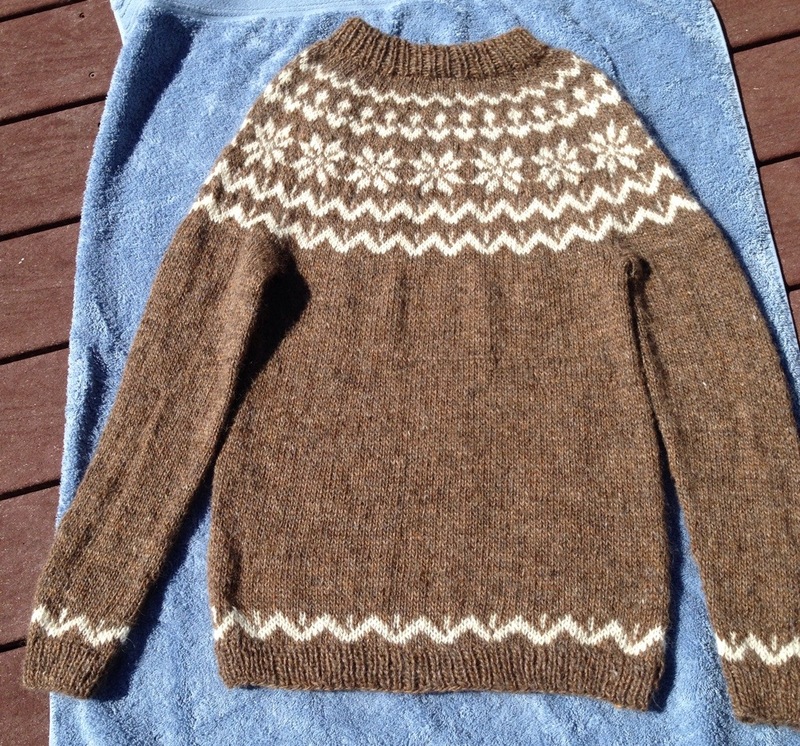 It’s an Icelandic Lopapeysa inspired sweater knit using Lette Lopi, the worsted weight version of Lopi. I purchased the yarn online from Alafoss. Overall, Marji was a relatively easy sweater to knit. I used Size 7 needles and worked the body and the sleeves in the round. Once everything was joined together, the yoke proceeded easily with decreases leading right into the neckband. 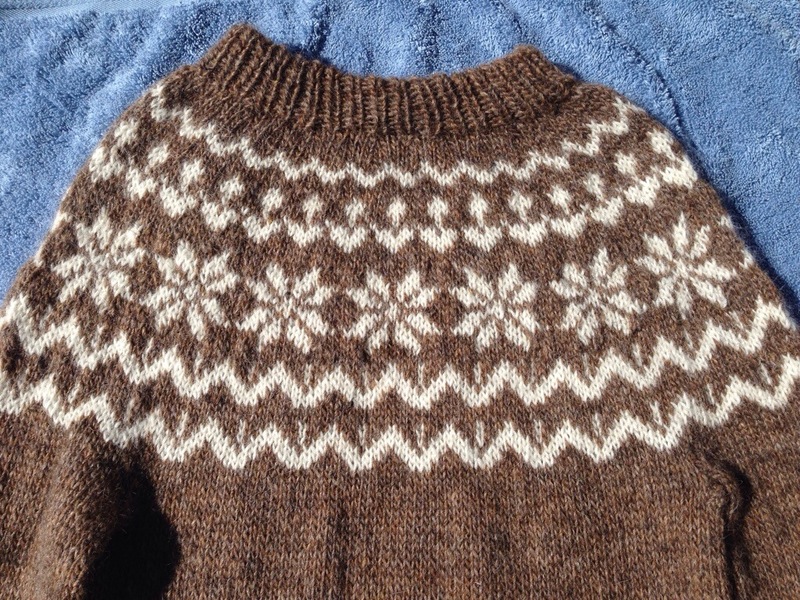 I really enjoy colorwork knitting and adapted some of the traditional Icelandic themes into the sweater. I’ll admit, I changed the design on the yoke pattern three times while knitting it: once before I joined the sleeves and the body and twice while I was actually knitting the yoke. I was able to package the sweater up and ship it via overnight delivery today so she’ll get it before she leaves. Next, I’m planning to write the pattern down and get it posted on Ravelry.